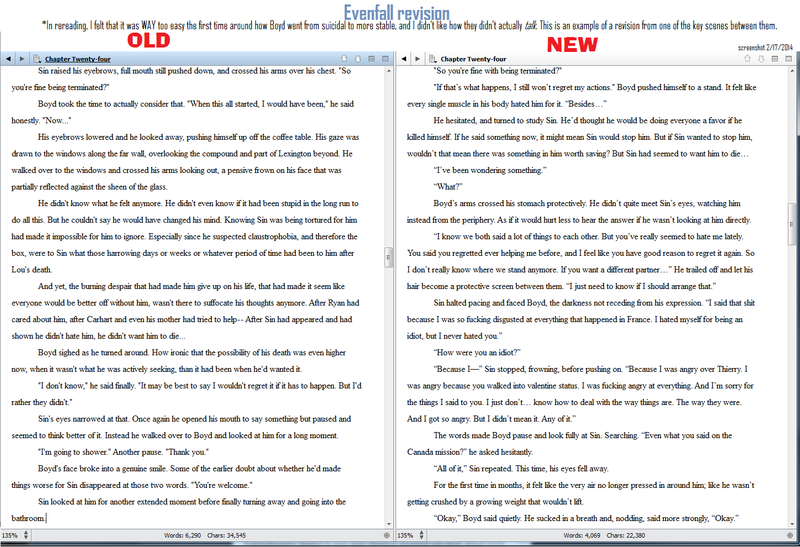 An excerpt from the Evenfall revisions. You will have to click on it to make it full screen. Sorry for the large size. Wonderful revisions! It adds much to the story to see them both display some vulnerability to each other at this point in the story.